She has a phobia of looking into the camera. I hold the camera up, she looks away. I put the camera down, she looks up. I don't understand it. It's only when I get one of her favorite treats and hold it right above the lens that she stare in the right direction. Don't laugh. I'm not the only one who takes pictures of my dog! ah, really love the dog collage. especially the tongue one. fun. very fun. oh those eyes are to die for! 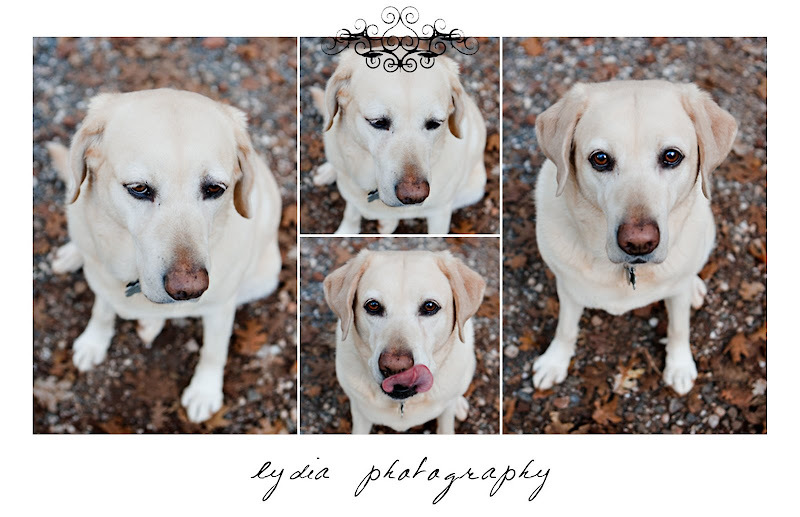 I am a complete sucker for all things labs, love the collage effect. oh my goodness in love with your doggie!! What a great collage! I must admit, I don't have a pet but when I start getting restless, I'm constantly hassling my friends to pose or I'm searching the house for something interesting I've brought back from a historic building to shoot studio shots of. Lucky for me, my subjects tend to *want* to listen or they just plain CANT! Nice shots. Definitely made me crack a smile on a cold new england day!